If you’re a florist with an existing website, your immediate strategy is building and customizing a wedding subpage of your website – the URL would look like this if I owned a shop: www.renatosflowers.com/wedding-flowers. 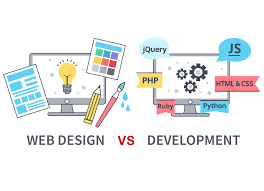 This process may be technical, so recruit your web developer to create this page. Also ask the developer to edit the html <title> tag of this subpage to read: “Wedding Flowers| Bridal Bouquets, Corsages, Boutonnieres, Centerpieces | City, State.” We propose the following as your html <meta name=”description”> tag: “Let our professional florists at (your shop name) make your wedding day truly special with beautiful flowers! Visit us or call for a consultation.” The reason these html tags are important is this text appears in Google search results. Also, keywords in the title weigh heavily in Google’s RankBrain algorithm to contribute to rank position. Another surefire way to increase your website relevance is writing blogs about weddings you’ve done. Write about the venue, the colors and flowers you used, whether the decor synced with any trends popular in the marketplace, as well as design detail and inspiration about the floral pieces, and whether the couple provided you any guidance on styles and more. Don’t forget to always take lots of photos and even do a video tour. Blogs on your website populate it with relevant keywords brides use in searches. Photos in your blogs will populate image searches as long as you place keywords in the ALT tag. Google loves content, so make it a habit to post a blog after every wedding or event! We also advise inserting as many keywords as possible in social media using #hashtags since search is the number one feature used in all these platforms. On Facebook, Instagram and Pinterest, all you need to do is place a # in front of any word to create the hashtag. Highly researched hashtags to include are: #weddingflowers #handtiedbouquet #boutonniere #weddingcorsage (you get the idea). Facebook includes another tag device called Facebook tagging. You can tag people, places, pages and more just by typing the @ character then start typing the page or person. For example, if you did the flowers at Deerwood Country Club, you can type @Deerwood Country Club…a drop-down will appear with a link to their page. Why is this important? Once you create this tag, Deerwood Country Club will be sent a request to add your post to their page. So be sure to Facebook tag all the venues in your posts in which they are featured. The moment they approve the post, it’ll be in their timeline and shown to all their followers/likes! You may be aware that TheKnot and WeddingWire, who were once competitors, agreed to say “I do” in a merger announced last fall. However, as part of the agreement, both will continue to exist as separate brands into the foreseeable future. Between the two, they boast close to 30 million users – we’re sure there’s overlap but that’s still a big number. Beyond the initial monthly fee, you’ll be asked for premium placement and other paid services such as email and print marketing. We recommend you pack as much information as possible (think keywords since these pages are SEO friendly) in the basic listing and gauge return.